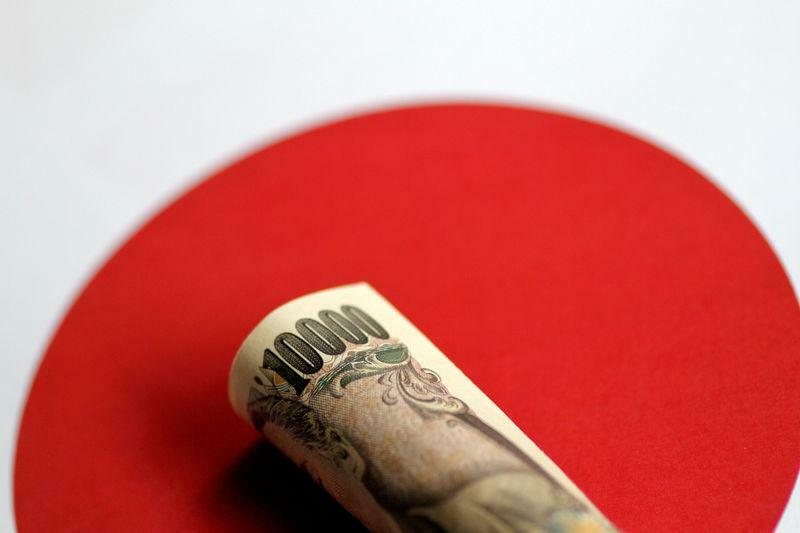 SYDNEY (Reuters) - The Japanese yen hovered near a six-week high on Monday while Asian shares are expected to start lower as risk assets fell out of favor on growing worries about an impending U.S. recession, sending global bond yields plunging. In response, 10-year treasury yields slipped below the three-month rate for the first time since 2007. Historically, an inverted yield curve - where long-term rates fall below short-term - has signaled an upcoming recession. "We have re-run our preferred yield curve recession models, which now suggest a 30-35 percent chance of a U.S. recession occurring over the next 10‑18 months," said Tapas Strickland, markets strategist at National Australia Bank.